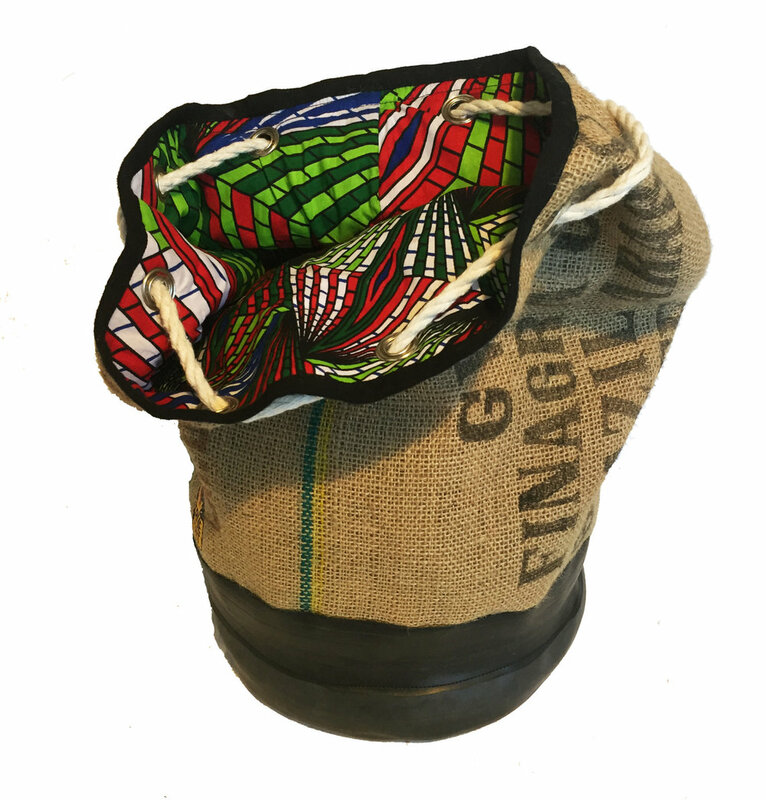 The beautiful and highly practical coffee bean/inner tube duffel bag gorgeous inside and out, and definitely well worth £39.60. If the bright colours and patterns appeal be sure to check out the other products on the Cycle of Good website! The Cycle of Good Coin Purse - perfect jersey pocket sized waterproof holder for a note or two, a debit/credit card and a few coins - enough to sort out a coffee stop or two! Just £7.50 to buy! We are very pleased to announce that you can now drop off your old unwanted inner tubes to our workshop, and we will send them on to Cycle of Good; helping to reduce the number of inner tubes that go to landfill by repurposing the tubes and turning them into awesome accessories for cyclists! We first encountered Cycle of Good at the 2018 CycleShow @ The NEC. We were massively impressed by their display and their commitment to recycling old inner tubes in to some really nice looking products. The range of recycled inner tube products really impresses us. We’ve seen other companies do it, but Cycle of Good’s range includes a variety of materials in the designs, such as canvas, to make some really great looking practical products. It was a gorgeous canvas duffel bag that caught my eye at the Cycle Show. I loved the coarseness of the canvas, the practicality of bag from the toughness and durability of the materials used, especially with it’s waterproof top and bottom (courtesy of good old inner tubes). But the flash of pattern and vibrant colours inside caught my eye. It’s the kind of bag that could and would go anywhere with you, and if your journey was long and tiring, upon reaching your destination and opening the bag, I just know you’d have a feel good moment every time you opened this bag - and for less than £40, that’s a definite purchase in my books! 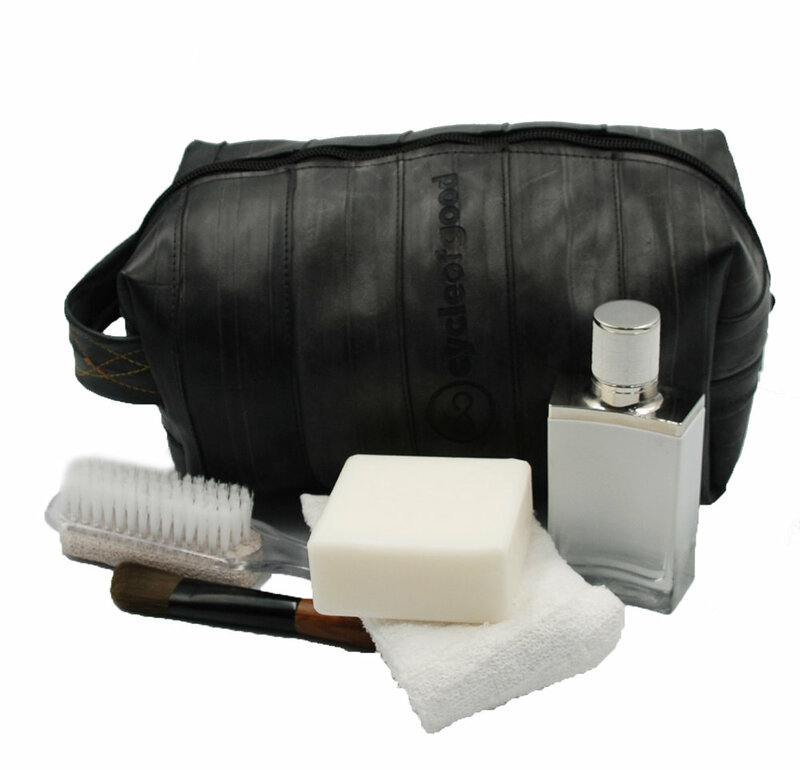 As well as the eye catching duffel bag there are other great looking products in their range. As well as the frequently seen coin purses, phone holders and wallets Cycle of Goods inner tube product range also includes cool looking courier bags, shopping bags, pencil cases, and there’s even a wash bag! Outside of the inner tube product range they also make some beautiful little bits and pieces for them, so we fully recommend checking out their entire product range in your planning to do a little shopping on their website! What I really like is nothing on their website is overly expensive. Whether you’re looking to spend just a couple of quid for a little gift for someone, or to support the cause there are options there. Equally if you’re looking for something a little special, like the colourful duffel bag, they have those options too. Recycling Inner Tubes - From UK to Malawi and Back Again! One of the big reasons we wanted to show our support to Cycle of Good is because we endeavour to reduce waste that is generated through cycling. Whenever possible, we donate old tired spokes to Respoke Designs, enabling them to make beautiful jewellery and accessories from what is effectively scrap metal! Cycle of Good enables us to apply this same ‘recycle and reuse’ mentality to inner tubes - a byproduct of cycling that is much harder to deal with! We hope you’ll join us in our pledge to reduce cycling waste! Cycle of Good send old inner tubes from the UK to Malawi, enabling them to turn this ’waste material’ into quality handcrafted products, enabling those who have experienced extreme poverty to earn a living and provide for their families. All the money Cycle of Good makes is then used to pay for childcare and non-profit social enterprises in Malawi! For more information you can visit the Cycle of Good - Recycle Your Tubes webpage! And please remember, if you have an old inner tube or two at home kicking around, simply drop them into our workshop and we’ll send them on to Cycle of Good. *All photos used courtesy of Cycle of Good - all product images will take you directly to the right product page on the Cycle of Good website! Please note that you can not currently buy Cycle of Good products from us but you can donate your tubes at our store and we will send them on to Cycle of Good.